The beaches of Cantabria, with its 280km coast, has turned this Spanish community into one of the best destinations for surf in our country. Full of sand banks, beaches and waves. A lot of them excellent to practice surf. Here we will be talk about the best beaches and the best waves in Cantabria. THE BEST BEACHES TO SURF IN CANTABRIAOrigin of surf in CantabriaThe best beaches1. Islares2. Laredo3. Berria beach4. Somo5. Liencres6. Suances7. San Vicente de la BarqueraThe best beaches for beginnersWhere to stayWhich wetsuit should I use?Which surfboard should I take?When should I go? The surf tradition in Cantabria starts in the 60s. In 1963 the Santanderino, Jesus Fiochi, brought from France the first board to Spain that we know of, and started catching waves in El Sardinero beach. Since then, fans of this sport has grown exponentially. 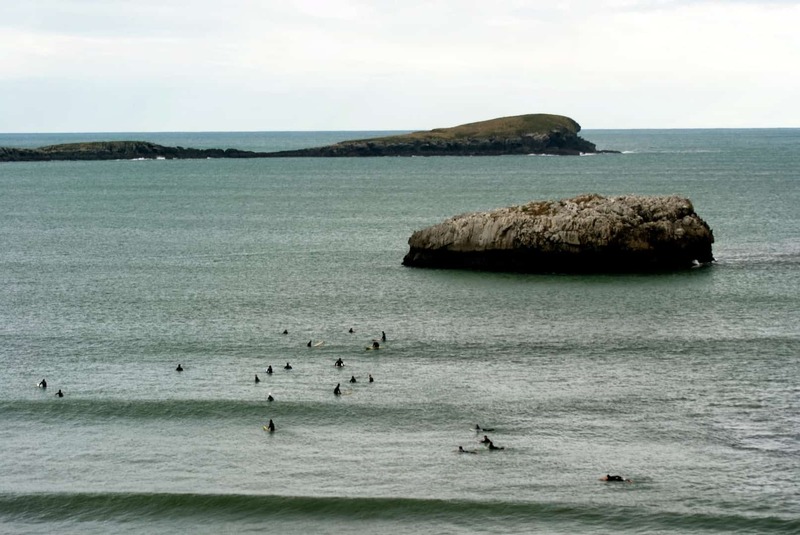 Today Cantabria has a great number of surfing schools, surfcamps and surf shops. We start our list from East to West, that is, from Basque Country to Asturias. This list is composed of those surf spots that from our experience have good consistency of waves. Islares is part of the municipality of Castro Urdiales and its only 30 minutes from Bilbao. Its beach is named Arenillas beach, which means small sands. In summer it’s a very popular beach with swimmers and vacationers. 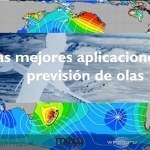 To be able to surf in Islares you need a powerful swell. This beach need at least 2 meters for the waves to break. Located in the interior of a bay, it´s a river mouth, so we have to be careful with its currents. Each side of the bay we find its two waves, one right and the other left, that break only when the tide is low. The left is longer and more manageable. There is a sandy bottom. Laredo without a doubt is one of our favorite winter surfspots. We´re talking about a very busy and well known beach, especially in the summertime. Laredo has one of the longest walks of Cantabria. Its beach is 8.4Km and its one of the most extended in all of green Spain. Apart from the extension that Laredo boasts, it can also show off its great waves, both left and right. Apt for all levels of surfers, it’s a 100% winter time spot. This beach need a lot of sea for the waves to break. Berria beach is found in Santoña. More than 2km of white fine sand that makes this one of the best beaches to practice surf in Canabria. Also, Berria is a good beach to start surfing and has various peaks that break left and right. Somo is without a doubt one of the most popular beaches for surf fans. It’s a small locality and is in the municipality of Ribamontán al Mar, one of the most touristic places of Cantabria. Somo is lucky to have waves in all kinds of tides. It has a lot services and the sand quality is great. Next to Somo is the beach of Laredo and Galizano, both great to practice surf. 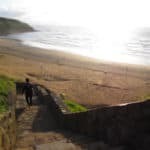 Liencres is the beach to go to when the rest of the Cantabrian beaches have no waves. One of the most constant beaches in all of the coast and ideal to practice surf anytime of the year. It has different peaks, but also a lot of rocks so be careful not to surf straight to them. Two of the best known peaks are “La Lastra” and the wave “Entreplayas”. The local have a very amicable and kind attitude. The villa of Suances is in the central coast of Cantabria. Its best known spot is in the Playa de Los Locos. A beach that has great waves, and an interesting atmosphere to practice your surf. It´s very typical to see a few people there catching waves, especially locals. Thanks to its orientation, it has waves all year and every swell enters it, no matter how small. The tide is indifferent. We finish out top 7 for beaches in Cantabria with San Vicente de la Barquera. If Laredo is our favorite spot for winter, San Vicente is our favorite for the whole year. Although it does need certain conditions to enjoy its long right waves. Its kilometer long beaches offer surf fans a ton of places to practice. 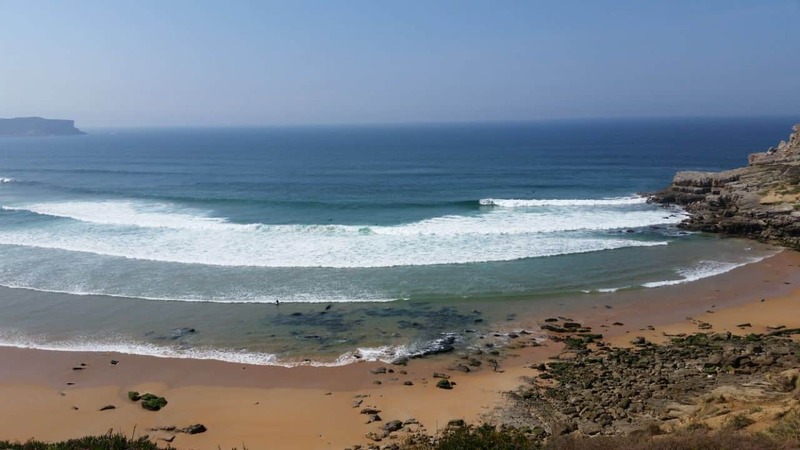 Only 60kms from Santander, this small Cantabrian locality is one of the first stops for the Rip Curl Gromsearch. In summer this surf spot is usually quite full and you will usually hear a lot of German. The surf schools, surfcamps and camping area will usually tell you they are full at this time of the year. If you want more information about this popular surf spot we recommend you read our post. 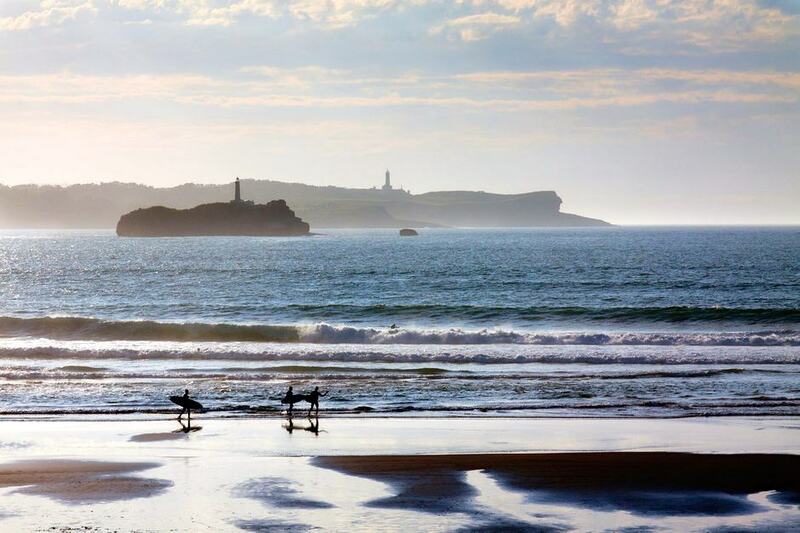 One of the best beaches in Cantabria for surfers that are just starting is precisely San Vicente de la Barquera. The spot known as El Farolillo is one of the best places to surf with a longboard. If you always wanted to start with this type of surfing, this is the best place to give the long a go. The beach of Laredo is also a great option to try out a Longboard. Check our board recommendatory, you only need to tell us what kind of board you´re looking for and a bit of information. All of the localities we´ve talked about have great network of cheap accommodations for surfers. 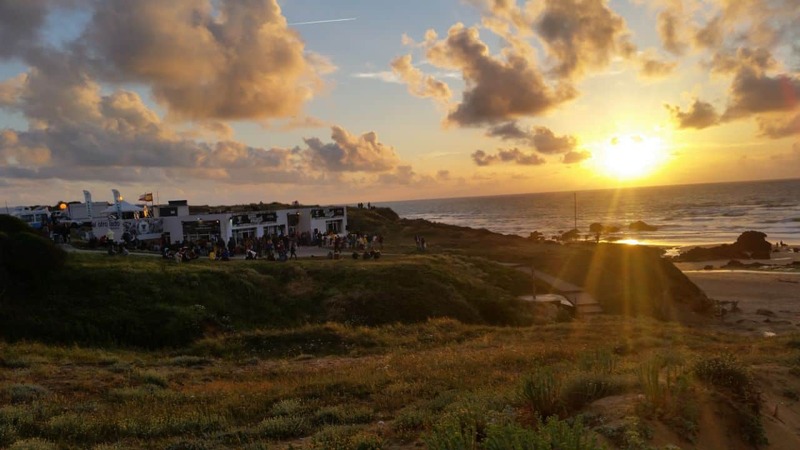 If you´re a group that’s traveling together, the best option is one of the many surfcamps in Somo, Berria, Liencres or San Vicente de la Barquera. Even if you´re traveling alone, it lets you meet other surfers. Which wetsuit should I use? The choice of neoprene wetsut depends on when you´re going. January to February the water temperature is around 12ºC. We recommend a 5mm wetsuit for these months, a 5/4/3 or a 4/3 with hood, boots and gloves. If you travel to Cantabria in March to April, the water temperature is a bit more agreeable and rises to 13ºC. Even so, if you don´t like the cold you can keep using the same wetsuits, a 4/3 or even a 5/4 depending on the exterior temperature. May to June, the water rises to 15ºC. This lets us store our 4/3 and get the 3/2 out. Our favorite 3/2 that we´ve used is the O´Neill Hyperfreak Comp 3/2mm. A wetsuit that we keep going back to after trying it out and that our review you can read in our Wetsuit section or clicking here. From July to August, it the time of the year where the water is the warmest, around 19-21ºC. Here we recommend a 2/2mm like the Hammer from O´Neill. You can even just surf with your trunks when its sunny. When we enter September and October you can keep going with the 2/2 or, if you´re quick to get the chills, get the 3/2mm out. Lastly, November and December is time to get the 4/3 out again. If you have any doubts about which wetsuit to but, ask us or check out our wetsuit recommendator. Which surfboard should I take? Same as the wetsuit, it all depends on which time of the year you go. If you visit Cantabria between the months of September and December, you´ll need a board for the most demanding conditions. This time of the year is also when the waves need a certain surfing level for you to enter. We recommend a board like the 3DX DHD, which you can read a review here, or the DNA used by Mick Fanning. Anyways, before you travel we recommend you check out the wave forecast for those days, and then base your board selection on that. These are the 5 best apps for wave forecast so you always know what the waves will be like. 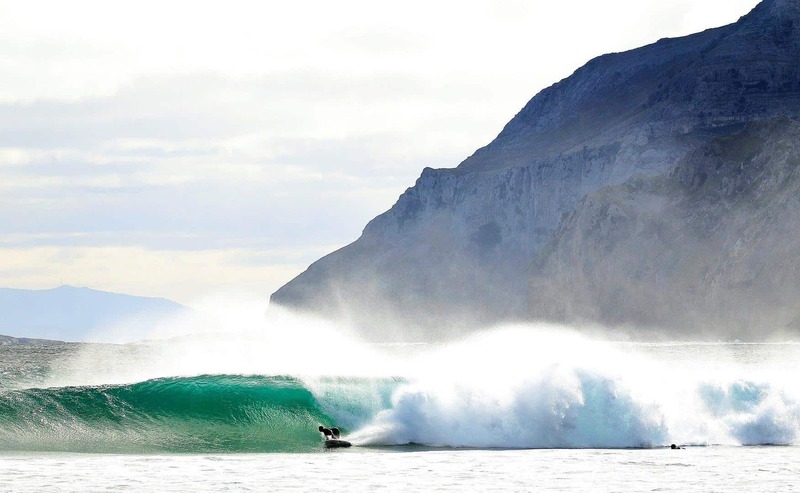 The great variety of beaches in Cantabria makes practicing surf possible all year around. Our recommendation for winter is Laredo. For Spring Somo is great, and for Summer Liencres and, some specific days, San Vicente de la Barquera. Finally, you can go any time of the year to Berria beach. If you liked this article you can share it and subscribe to us. Visit our surftrips section where you can see the best destinations for surf, you can find the best airlines to travel with surfboards and the best times of the year for waves for each country.